A super-soft, pre-tapered synthetic fur that will give any pattern incredible action in the water. Lifelike material for bait fish imitations, streamers and attractor patterns. It can be easily marked with indelible marking pens for more realistic baitfish patterns. Mirror Flash is a good deal more flexible, both literally and physically than previously available flash materials , resulting in a truly vibrant additive for tails and wings. Spirit River Polar Aire is a shiny, supple synthetic and a great substitute for polar bear hair for salmon/steelhead fly wings. 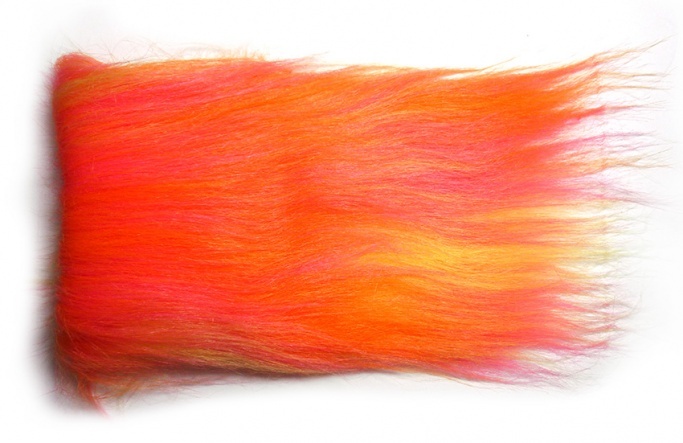 Spirit River's Poly-Bear Fiber is the perfect material for tying baitfish patterns. Micro strands of Lite-Brite are intermingled with a mix of extra fine strands to offer the predator and saltwater fly-tyer a superbly mobile wing material with an added flash.